The Adrian Piper Research Archive, located in Berlin, is looking for a registrar and an archivist. Every so often we get an email from e-artnow, an artist-run electronic information service based in Prague that distributes selected e-mail announcements related to contemporary visual arts. This week we got a long one that had a slew of links to international job opportunities, from becoming a registrar for the Adrian Piper Research Archive in Berlin to learning how to make science fiction films in Ghana. We thought we’d share it with readers, but we offer no guarantees as to the quality of the opportunities listed. Please do some research before applying and make sure the opportunity is legit! 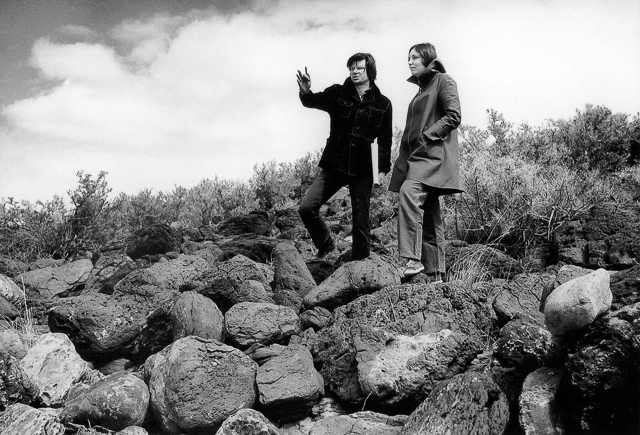 Robert Smithson and Nancy Holt. Their Foundation is looking for an Executive Director. University of Leicester Jobs Desk – The UK’s most extensive free vacancy listing source for museums and galleries. UK. SPE – Society for Photographic Education – Job opportunities. Cleveland, USA. Jobs at Sotheby’s Institute of Art. Worldwide. 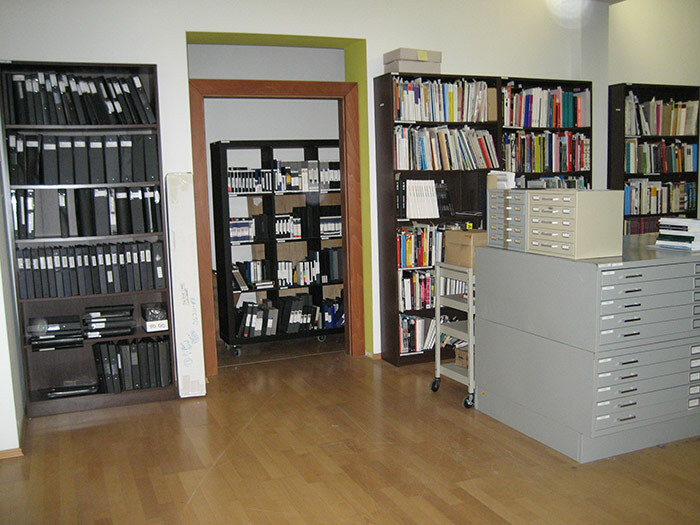 Adrian Piper Research Archive [APRA] Foundation Berlin: Seeking Archivist, Registrar. Berlin, Germany. Accepting applications for 2017 UNIDEE – University of Ideas’ modules at Cittadellarte – Fondazione Pistoletto. Applications open now for 11 weekly residential modules @UNIDEE – Spring&Summer Term, from April to July – Fall Term, from September to November – To apply, please see specific modules. Biella, Italy. Call for application: Courses in writing, blogging and curating by: Sabrina Mőller / Sabine B. Vogel – Kimberly Bradley – Diana Campbell Betancourt – Ruth Noack. Salzburg International Summer Academy of Fine Arts 17/07–26/08/2017. Salzburg, Austria. Apply now for the 2017 Salzburg International Summer Academy of Fine Arts: Courses in painting 17/07–26/08/2017. Salzburg, Austria. Deadline: May 2 (Courses) 2017. Academy of Fine Arts Leipzig – Master of Arts Program ‘Cultures of the Curatorial’. Start of Program: October 2017. Modules: 1) History and Theory of the Curatorial/History of exhibiting 2) Modern and Contemporary Art History and Theory 3) Research Practice I: Curatorial Project 4) History and Theory of the Curatorial/Transdisciplinarity 5) History and Theory of the Curatorial/Transculturality 6) Research Practice II: MA-Project/Conception 7) Research Practice III: MA-Project. Please note: German language skills are required for the enrolment into the program. Leipzig, Germany. a.pass call for artistic research projects: post-master and PhD level. SELECTION TALKS MAY 30-31, 2017. The a.pass program is a 12-month program. Brussels, Belgium. Call for Applications: Artistic Research PhD Programme: The six-semester study programme in the English language starts in October 2017 and is located at the Zentrum Fokus Forschung, University of Applied Arts Vienna, Austria. Call for applications: Postgraduate Programme in Curating. Summer Academy: De-Colonizing Art Institutions 13–24 June 2017. Symposium De-Colonizing Art Institutions 20–21 June 2017. Organizers: Prof. Dr. Dorothee Richter & Ronald Kolb (MA). Participants must apply for acceptance with a short bio and a letter of intent. Language: English. Contact: Ronald Kolb (Coordinator), ronald.kolb@zhdk.ch ZHdK, Further Education, Zurich University of the Arts. Zürich, Switzerland. Open Call Postgraduate Art program Lyon 2017–18, École Nationale Supérieure des Beaux-Arts de Lyon. The Ensba Lyon offers a one-year postgraduate program for five international artists who have acquired a Master’s degree (or DNSEP). Lyon, France. International Curatorial Program by Node Center for Curatorial Studies. Duration: June 7, 2017 – March 23, 2018 – Lectures: Marc LeBlanc, An Paenhuysen, Jennifer Danos, Kate Brehme, Lauren Reid, Joanne Pouzenc, Iohanna Nicenboim, Ana Fernández Osorio – Participation Fee: 1680€ / 168€ per month or 1320€ single payment (save 20%). Berlin, Germany. Call for International Applications: 2017 Tallinn Summer Academy by Estonian Academy of Arts. The courses will take place in August 2017 and focus on innovative, solution-seeking, salient topics: cooperation between the natural environment and humans in nature, mapping roads and traffic to improve the efficacy of investments into public space, Estonian artistic life in the regional and international context, constructing and building large-scale, custom-dimensioned features for the elephants of the Tallinn Zoo and linking art and technology in Clay 3D printing. Tallinn, Estonia. Scholastika Summer Academy: Czech Glass Journey. First term: July 1-14 – Second term: August 5-18: Lectures, Designing workshops, Exploring Prague and Czech Republic, Five excursions to glass factories – Moser, Bomma, Crystalite, DT glass, Ajeto Lindava, One night in the Ještĕd TV Tower Hotel, Two days in the glass factory where you will bring your designs into life. Prague, Czech Republic. Science fiction film workshop and conference in Ghana. Workshop runs October 20-November 7, 2017. Conference and screenings, November 7-10, 2017. Workshop partners include Nka Foundation, School of Critical Engagement, Ghana Think Tank and Afrocyberpunk. Kumasi, Ghana. Apply Now BxNU Master of Fine Art. Northumbria University in partnership with BALTIC Centre for Contemporary Art. OPEN DAY: 29 March 2017 – OPEN DAY: 17 May 2017 – Vice Chancellor Scholarships available to UK/EU applicants. First Call for Applications – English Master Visual Arts: Fine Arts – ‘Art Sense(s) Lab’ – the first Official International English Master Visual Arts Programme about the use of the approximative senses (smell, taste and touch) as part of the Artistic Practice. PXL-MAD, School of Arts. Hasselt, Belgium. n.paradoxa’s MOOC (mass open online course). 10 lessons on feminism and contemporary art: Free and open to join anytime! Browse at your own pace! UPDATE: A.I.R. Gallery welcomes applications to its inaugural Summer Residency, located on Governors Island, New York. NYFA – New York Foundation for the Arts – Residencies Worldwide. NYC, USA. Institute of Contemporary Art Yerevan: Open Call for Arts and Cultural Practitioners. Individual residencies can last from blitz visits to 5 months. Residencies will take place between 1 June – 15 November, 2017. Please send your letter of intent or project proposal (max. 700 words) along with your CV and portfolio (no more than 5 works) to anna@ica.am. The application process is ongoing but we recommend applying early to ensure a place for the desired period. Yerevan, Armenia. Call for Cultural Capital Producers for Residency in WA (USA). To apply, please email a CV, link to portfolio / research, and a 2-page (maximum) proposal to GHCC Residency Director Peter Christenson with subject heading ‘GHCC Residency.’ Applications are on a rolling basis; proposals should be sent to: peter.christenson@wsu.edu Costs: FREE | No costs for resident. GHCC Residency, WSUTC, Richland, WA 99354, USA. Berlin Sessions open call for residencies. The residencies are conducted in collaboration with funding bodies such as universities, art councils or foundations who, together with the Berlin Sessions staff and selected applicants, draft aims and objectives of the program and are responsible for a successful finalization of the mobility program. The platform do not support endeavors where the artist or curator has to carry the cost of the program. Berlin, Germany. CALL FOR ENTRIES 2017: ‘ace Artist-in-Residence International Program of Fundación ‘ace para el Arte Contemporáneo. The program encompasses a period of 4-weeks. There is not a minimum or maximum age to apply for a residency (although there is a lower fee for artists younger than 30 years old), as well as there is not discrimination regarding country of origin, race, language or gender identity when candidates are selected. Buenos Aires, Argentina. Casa Rio – Rio de Janeiro : Call for applications 2017: international artistic production/residency projects. Length of stay: 1 week to 3 months. Prices are available upon request. Rio de Janeiro, Brasil. Short and Long Term Artist Residencies in Cyprus: Winter and Spring Residencies at CyCA Lempa Studios. Single room accommodation and art studio space from €60 a week. More info: +357 9945 2757 (ask for Margaret) or e’mail us enquiries@artcyprus.org. Pafos, Cyprus. HOF + Surface Residency in the heart of Bangkok’s budding art district. Residency Fee (Paid by Artists)- 35000THB per month, per artist. Bangkok, Thailand. Curators’ Agenda: VIENNA 2017 – Open Call: A BLOCKFREI Residency program for international, emerging curators. Duration: 18. September – 29. October 2017. Location: Vienna, Austria. NYFA – New York Foundation for the Arts – Awards, Open Calls, Grants. NYC, USA. SPE – Society for Photographic Education – Calls for entry. Cleveland, USA. Braunschweig University of Art: Braunschweig PROJECTS scholarships – extension of deadline for application. Young artists from all over the world can submit applications for one of a total of eight residency scholarships. Braunschweig, Germany. Call for Artists – The Painting Center: Fight or Flight. This exhibition is about the practice of making art during tumultuous times. NYC, USA. School of Visual Arts Call for Application: CITY AS SITE: Performance and Social Interventions. Dates: June 19-30, 2017. In the experimental spirit of City as Site, we welcome artists interested in moving from the traditional studio, gallery and theatre space into the urban arena. Visual artists, writers, architects, designers, performance artists, urban planners and social activists are invited to apply. New York, NY 10010, United States. The New Gallery Main Space / Call for Submissions. Exhibiting artists are offered a fee of $1957 to show their work (commensurate with current CARFAC Fee Schedule – A.1.1, and updated annually upon new schedule release) Additionally, TNG provides both accommodations and financial resources to aid artists in managing shipping and travel costs. Details of this budget are determined on a case-by-case basis. Calgary, Canada. Weft – Community Arts Center: Earth-Construction Workshop in Abetenim, Ghana. Participants are welcome anytime between June 3rd and August 31st, 2017. Engage in the culture of the Ashanti Region and participate in community events. Work with local builders to learn traditional earth-building techniques. This workshop is open to anyone and everyone, regardless of profession or skills. Abetenim near Kumasi, Ghana. Pen and Brush: Call for Visual Art and Literary Work. Open Rolling Submission / No Entry Deadlines: Pen and Brush provides a platform to showcase the work of excellent female artists to a broader audience. Our galleries can accommodate a variety of group shows, solo and feature exhibitions curated by art world professionals who support our vision. Pen and Brush – New York, United States.